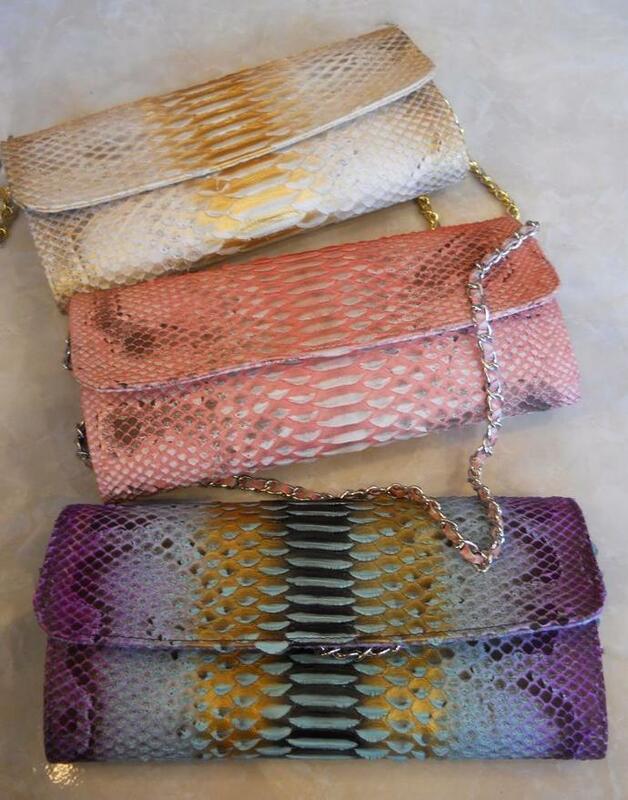 Handmade multicolor python leather bag with chain is available to order in different color combinations. Can be used as a wallet or like a handle evening clutch. That handbag is on fleek!